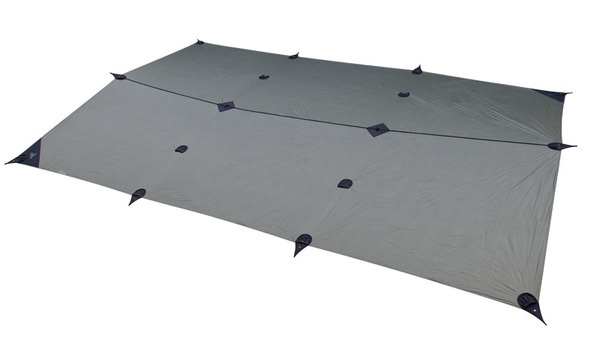 Engineered tarps for the fast and light. This ultra-light range of Overhangs uses 30 denier high-tenacity nylon 66 fabric with a silicone elastomer coating on BOTH sides. The high relative strength and natural elasticity of this fabric make it an ideal choice for these tensile canopies. The silicone takes care of the UV exposure. Weights: S: 0.55, M:0.70, L: 1.06 kg Material: 30 denier, 1500mm nylon 66 ripstop with silicone elastomer coating both sides.